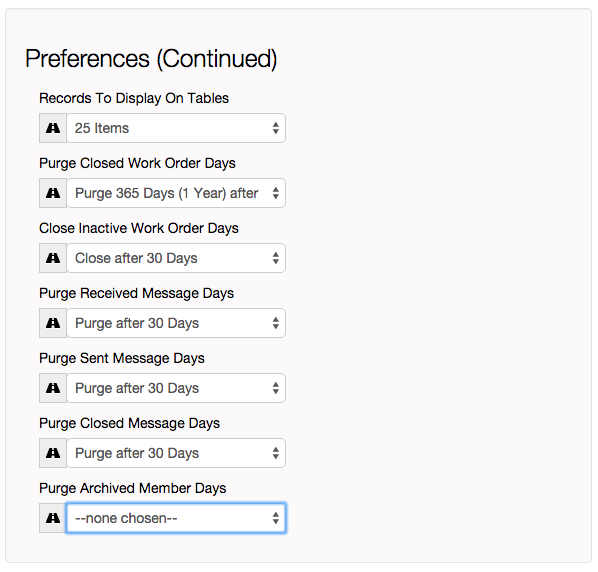 The Purge feature allows you to set company-wide policies regarding how long work orders, messages and deleted users are kept on file before automatically getting removed from the system. In order to set the purge policies, you must be a system administrator. Once your purging policies are set, your data will be managed according to the timeframes you’ve set. If you ever want to change them, follow the above steps.